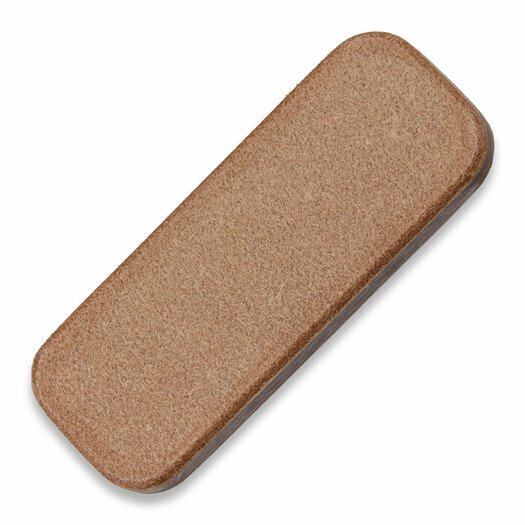 Double sided bare leather hand held field strop with polycarbonate core. Core cannot lose it's flat surface, nor can it be broken without using tons of force. This material has zero potential to swell, warp or crack when exposed to moisture. The leather has a very low acid content and has not been pretreated with any compound. Designed specifically for honing convex edge knives. 652 kr. gjenstår før fri frakt!